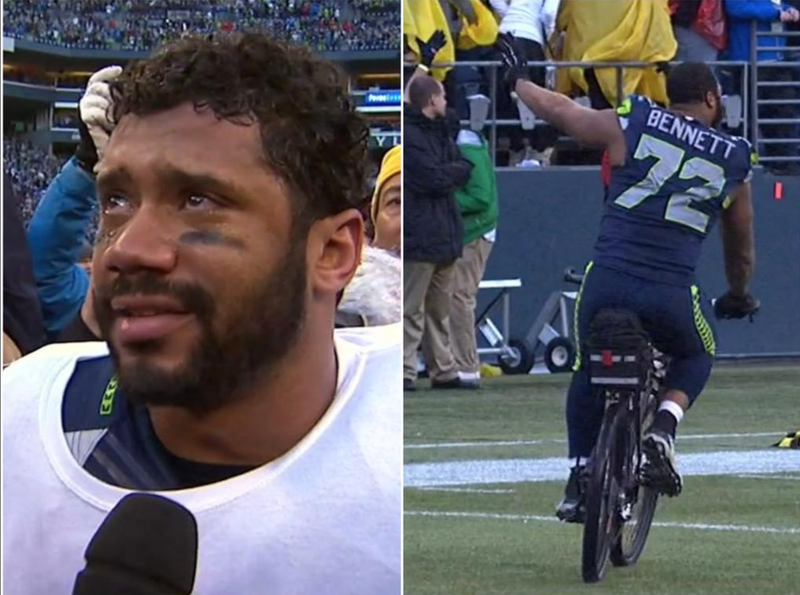 I’m still not entirely sure what happened in the end of today’s Seahawks-Packers game. It’s all kind of a blur. It went from depressing sadness to screaming glee so quickly that I think at one point I was floating in the air. I had to pinch myself for hours. But it’s true. The Seahawks are going back to the Super Bowl to defend their championship. I love Russell Wilson. I love Marshawn Lynch. I love everyone. I love everything. Go Hawks.